I'm not a man to indulge in any fantasy nonsense about Nostradamus or suggestions of the end of the world as promulgated by a bunch of Mexican tribesmen a few thousand years ago. There are though, some distinctly unsettling things going on. Almost all have a scientific explanation; it's the confluence of events which is unsettling. Back at the beginning of November, I mentioned the Browning Newsletter, a private US weather service written by Evelyn Browning Gariss, which had warned of severe weather to come in the US as a result of El Nina. Her latest update suggests that the unsettled conditions could persist for another 3 months. Much has been made of the El Nina phenomenon and it is undoubtedly the cause of the shock floods in Queensland. Unfortunately however, there's a bit more to the end result. Obviously the global warming lobby in Australia has taken an early ride on the bandwagon marked, "it's all because of global warming, we told you so." That's interesting because we learn from EUReferendum that another of their number, one Tim Flannery, a professor of earth and life sciences at Macquarie University, chair of the Copenhagen Climate Council, and the 2007 Australian of the Year was a leading voice in convincing the state government that the predicable cycle of droughts and floods will no longer happen, and that the state, instead of beefing up defences from the last major event 30 years ago in 1974, should prepare for long-term water shortages. EUReferendum goes on to say, ""Growing evidence," declared Flannery, "suggests that hotter soils, caused directly by global warming, have increased evaporation and transpiration and that the change is permanent. I believe the first thing Australians need to do is to stop worrying about 'the drought' - which is transient - and start talking about the new climate". It was input such as this that had the state government spending $1.2 billion on desalination plant, instead of flood defences, a plant now mothballed, as the flood waters mount." In fact, the Australians have spent $13.2 bn on desalination plants. One wonders what the total cost is of letting the global warming industry, (for that is what it is). Worse, what will the future cost be? Meanwhile, over in the Philipines the good residents of South Lampung have more pressing matters at hand. 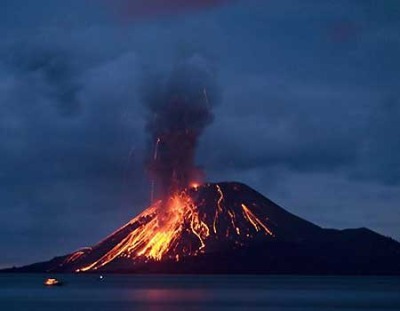 They're being evacuated as Mount Anak Krakatau has started throwing out ash. Not to be outdone, and flying the flag for Europe, Etna's getting in on showtime and is showing signs of animation. As usual though, America has to be bigger and better than everyone else. The mysterious deaths of thousands of birds and fish have left many people perplexed and puzzled. That unexpected many earthquakes have occurred has simply added to the conundrum. We learn from Lew Rockwell though that one theory might have some pretty scary consequences if proved correct. The theory is that the New Madrid fault zone is coming to life. The New Madrid fault zone is six times bigger than the San Andreas fault zone in California and it covers portions of Illinois, Indiana, Missouri, Arkansas, Kentucky, Tennessee and Mississippi. The biggest earthquakes in the history of the United States were apparently caused by the New Madrid fault. According to the U.S. Geological Survey, more than 500 measurable earthquakes have been recorded in central Arkansas just since September. A magnitude-3.8 earthquake that shook north-central Indiana on December 30th is being called "unprecedented" It was strong enough to actually cause cracks along the ground and it was felt in portions of Ohio, Illinois, Wisconsin and Kentucky. 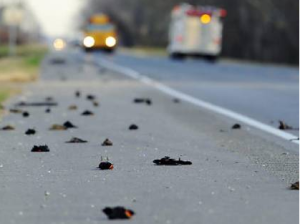 More than 3,000 red-wing blackbirds fell out of the sky dead in the Arkansas town of Beebe on New Year's Eve. Large numbers of dead birds were also found in Kentucky around Christmas. Approximately 500 dead blackbirds and starlings were also recently discovered in Pointe Coupee Parish, Louisiana. Approximately 100,000 fish washed up on the shores of the Arkansas River just last week. The implications of a bad thing happening on the scale of the New Madrid fault doesn't bear thinking about. Previous quakes in 1811 and 1812 were so big they remain seared in the collective folk memory. Follow the link to Rockwell to learn more. Some people attribute the BP Gulf oil spill to the drill uncorking an "oil volcano." The enthusiastic onlooker can keep up to date with the USGS site here. I live on the New Madrid fault. And I can tell you this. The surface rupture of the roads and highways is out of control. Also, everyday of the week, the structure of my moms home is "cracking" and shifting. You can hear the walls and the surface crack. Nearby is a dollar general store. In that parking lot there are 3 flagpoles that "vibrate" violently. (not shaking from wind) Each and everyday, the roads "blow" up potholes. U.S. 41 is ruptured severely. Interstate 65 is also badly damaged. They keep trying to repave them but it doesn't work. The Cline Ave bridge at points is closing. This bridge and off ramps leads right into Inland steel and LTV steel and BP Amoco. So far, I believe 5-7 bridges have been shut down or are scheduled for closing because they are unsafe. that they still have time to prepare for the main event. Thats b.s. It doesn't happen all at once. In Momence Illinois, some of the buildings are beginning to "sink". In Cedar Lake Indiana, the same is happening. The bottom line is this; Buildings are cracking, parking lots can't be fixed, roads and bridges are closing every week, sidewalks are sinking and sinkholes are opening everywhere. At time day or night, you can literally feel the earth "vibrate" below your feet. I'm in Northwest Indiana, and I believe we are about to get hit with a earthquake of biblical proportions. We are surrounded by propane, natural gas and BP Amoco refineries. 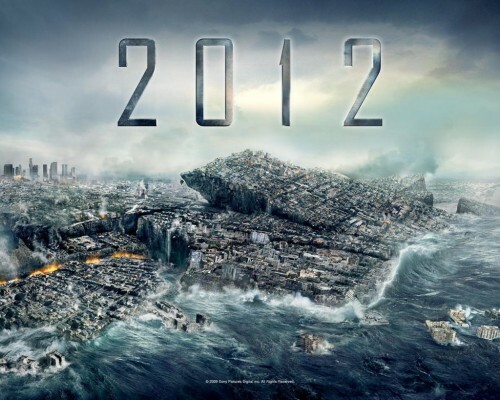 And, I'm more than concerned what will happen when the new madrid erupts. Best of British then Bob; I might just watch the movie 2012 again. We have our own seismic and volcanic events in Haslemere of course, which remain a wonder and much talked about phenonomen in the geographic community. Fortunately however. Mrs Flashbang has been in a mostly good mood of late so the emergency services and scientific boffins can stand down.